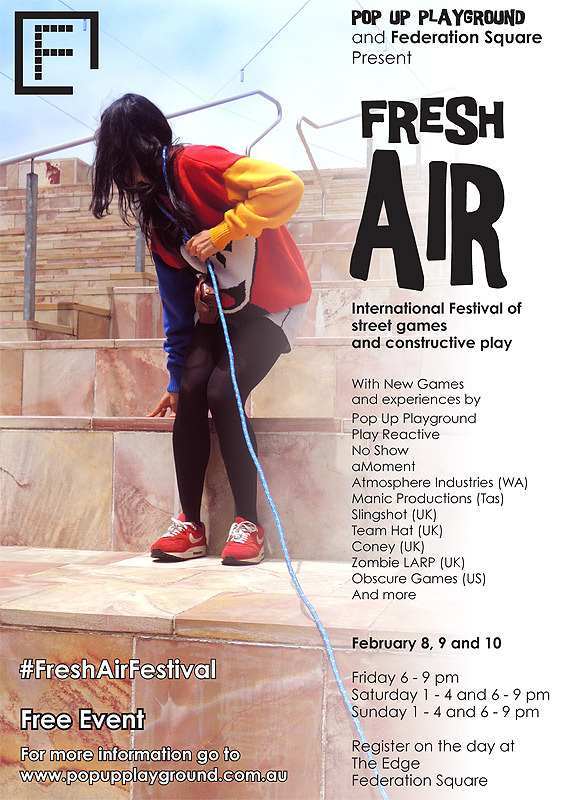 This weekend at Fed Square the Fresh Air Festival is happening. It’s an ‘international festival of street games and constructive play’ and just good fun! The festival is being put on by Pop Up Playground, a local Melbourne based games collective. There are sessions on tonight and tomorrow still, so get on down and suss it out!